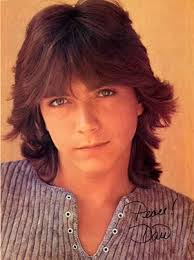 David Cassidy…little did he know…? I wrote my first essay, in Primary School first class, at the tender age of 6. It is the first known public display of my uber-vivid only child imagination; the first showcasing of the fantasia, in which I lived, for so much of my childhood and teenage years. The essay?………”when I grow up”. Presumably, most of the class followed the to be expected pattern of, “when I grow up…”, I’ll be a nurse, ballerina, hairdresser, mummy etc. Or, “when I grow up..” I’ll go to America, travel on a plane, and so on. “When I grow up….”, “ I am going to marry David Cassidy…..and we’ll be very happy……and we’ll sing together”. Seemingly, I described our life together, jetting around America in graphic detail (as graphic as a child with limited air-miles can get!) and how happy we were going to be when we got married! The teacher (Mrs Ryan, RIP) was so taken aback by this that I was auto-awarded the inaugural essay writing prize of 5p. She later told my mother I had the most vivid imagination she had ever come across. If Mrs Ryan thought she was taken aback, she was nothing near my Grandmother (Nana) who was informed of this future vision and prize winning related missive on the way home from school that afternoon. I remember twigging the railings on the school wall………crangcrangcrangzingzangzing…as you do…as I recounted the tale of the essay, my eternal love for Mr Cassidy and our impending nuptials. My Nana told me not to be having such nonsense in my head, but did good naturedly congratulate me on my prize whilst warning me to spend it wisely. When my mother and herself were alone later that evening, it was with great glee and animation that she retold the tale of trans-Atlantic love and happy ever after, before the two of them collapsed in fits. My mum refers to this episode once in a while…she looks at me and says, “Where’s David these days then? You were in love with him you know, you were going to marry him. You know your Nana killed herself laughing after you got home. She went into the bedroom so you couldn’t hear. She thought you were priceless”. Where is David indeed? Who knows. 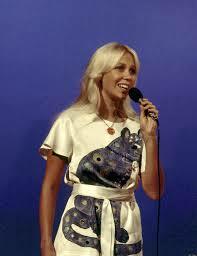 I lost interest when Abba came along, and reinvented myself as Agnetha, and sang into a hairbrush, like a million other kids back in the 70s. I obviously replaced amour with singing and being blonde and famous in shiny clothes and silver boots. If I see a photo of David Cassidy now I cringe……but he gave me my first creative release, my first burst of imaginative licence, so thanks for that then Dave! And, wasn’t it worth it, just for a few moments, to give such joy, to someone I did truly care about, whom I did really love. And as for that imagination, it’s still well and truly alive and kiciking. Now if you’ll excuse me……………imaginary places to be! Do you still say yes? The potential effects of Cannabis use before the age of 17. The Lancet Psychiatry Journal has just recently published a report of combined research projects undertaken in both Australia and New Zealand extrapolating data recorded from a study of 3,765 regular cannabis users. The statistics are pretty stark, and speak for themselves. As is now the norm with most other things, drug use and in particular that of cannabis, is now starting at a much younger age, with adolescent usage now considered to be heavy: for example, 7% of US high-school students are daily/near-daily users. Similar usage is reported in Australia for 1% of 11-15 year olds. Whilst the % of daily use in itself would appear tiny, the fact that any 11 year old is actually smoking weed on a daily basis is by its very nature, quite a shocking revelation. In England, 4% of 11-15 year olds have used regularly in the past month. 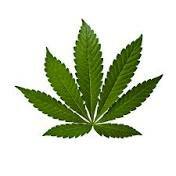 The findings of the study show that teenagers who use cannabis daily are more like to attempt suicide in later years. This is therefore a worrying forecast for the future on a not insignificant number of today’s adolescents. The study has found that there is a direct correlation between frequency of teenage usage and the future socio and psychological conditions of the respondees . The results provide “strong evidence that the prevention or delay of cannabis use is likely to have broad health and social benefits”. Family A 4 boys 2 girls – 3 out of the 4 boys, 1 of the 2 girls, became cannabis dependent. Total 4. Of that 4, 3 ended up in psychiatric hospitals with severe mental health problems. Two have never recovered. Family B 2 boys – 1 ended up with a chronic cannabis dependency, which eventually led to class A (Heroin) drug dependency. He died at the age of 25. Family C 2 girls – 1 started smoking cannabis at 13 (as well as drinking); by 17 she had a full blown heroin addiction. She gave birth at 18 to a lovely boy, who was taken from her by social services. She died of HIV/AIDS at 21. I don’t judge, these are the facts, both from the extensive research carried out and from my own personal first-hand experience. I will let you make up your own mind on the subject. I know what mine is.